The perfect gift to give and get! 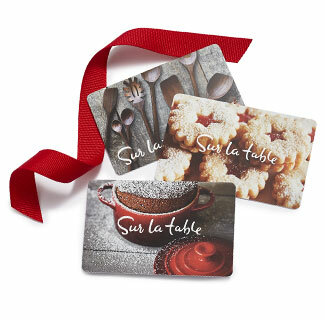 Choose any card to give your recipient the option to shop in stores and online or to take an award-winning cooking class. $10 minimum, $500 maximum; whole-dollar amounts only, no special characters. Add a Free Gift Message (optional) Each line can be up to 40 characters long. Our E-Gift Cards are processed in batches five times daily, about once every four hours. Your E-Gift Card will be sent with the first batch processed after you finish checking out.